Today we are celebrating the first advent. 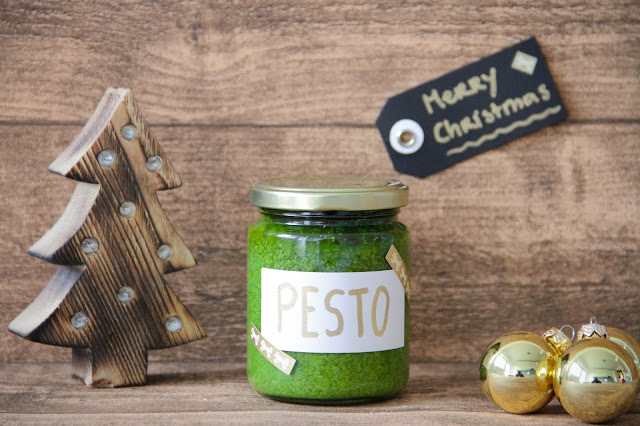 I find this is the perfect moment to think about gifts for the year-end festivities. It's the time of the year you're invited to plenty of pre-Christmas, post-Christmas, pre-New Year's events. For some of them there's a Secret Santa session involved, for others you'd just like to bring something nice for the hosts. Either way, it's always a good idea to bring thoughtful and useful gifts. I love to offer gifts from the kitchen. Last year I mainly offered sweet gifts. People were happy about the cookies and pralines, but for this year, I added some savory recipes to the list. 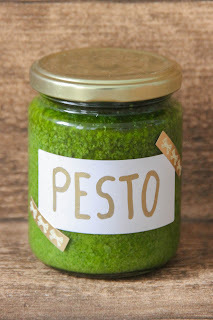 May I introduce the first one: Rucola Pesto. When browsing on the net, I stumbled upon a similar version, which inspired me to transform my usual pesto recipe into this delish Rucola Pesto. Before posting this recipe I tested the outcome of course. And I have to admit; I am very very positively surprised about the fast. 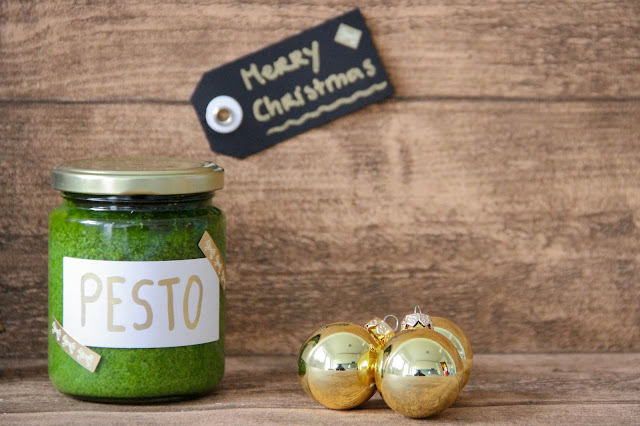 What I like most about this pesto is that, compared to the traditional basil pesto, it has a little spiciness without having to add additional ingredients to it. 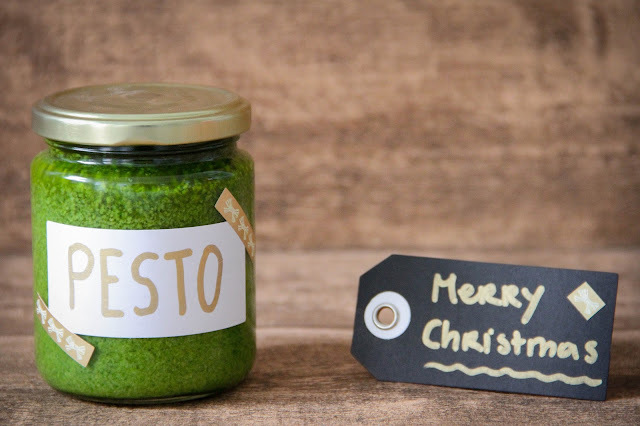 Traditionally Pesto is prepared in a mortar. Adding up first the greens and garlic, then the nuts and cheese and finally the olive oil. As most of us don't own a mortar, I suggest you just use a food processor. Add all the ingredients to a food processor. Mix until creamy. Season with salt and pepper. Fill the pesto into a middle-sized jar. 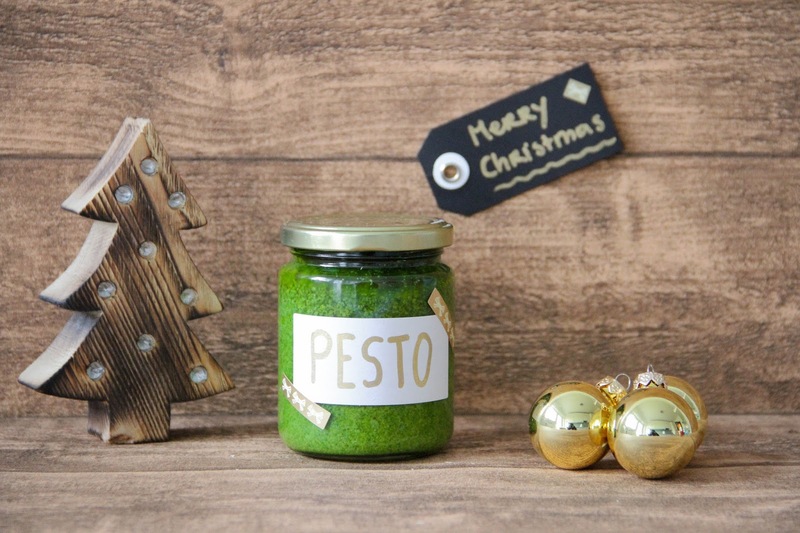 What a thoughtful and beautiful gift idea!!! Love this.